Root Canals in Canton Aren’t Painful. A Dentist Explains Why. For many, root canals are considered the treatment that no one ever wants to experience. However, this procedure has largely been misconstrued as a painful and exhausting treatment, when in reality the opposite is the case, especially today. Root canals are often associated with pain, but that’s not their actual intention. If you need a root canal, it’s not because the dentist wants to make treatment unenjoyable. It’s because they genuinely believe they can save your tooth. If you’re wondering how root canals in Canton aren’t painful and why everyone tells you otherwise, read this brief post from a dentist who performs them regularly. While many people believe root canal therapy causes pain, in reality it’s designed to treat the source of the problem that causes the pain, which in this case is an infection of the inner tooth. The pain that people associate with root canals is likely tied to what is felt prior to treatment when the infection is present, or afterwards during the recovery period. 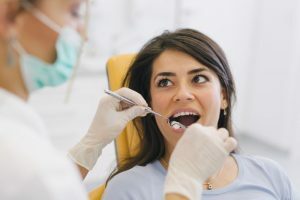 The reason pain can’t possibly be the issue during treatment is because the dentist numbs the area around the damaged tooth to prevent the majority of the discomfort. Perhaps in the past when that medicine wasn’t available it was a bigger issue, but thanks to increased access to local anesthetics and other dental advancements, dentists can perform basic procedures like root canal therapy with greater precision and better comfort. At the start of treatment, the dentist will numb the area around the tooth as well as the tooth itself. After opening the top of the tooth so the interior pulp area can be accessed, the damaged pulp and nerve tissue will be removed. Depending on the extent of the infection, they may also apply an oral or topical antibiotic to encourage healing and prevent future infections. Afterwards, they’ll fill the inner tooth with biocompatible material, such as gutta percha. This rubber-like material is meant to replace the nerve and pulp that was removed and seal the area from future bacteria exposure. Finally, the access hole is sealed with a crown to protect the tooth overall. Sensitivity to hot and cold temperatures will be normal as well as soreness for the next few days. Allowing an infected tooth to worsen is going to be far more uncomfortable than a root canal. Save your tooth by scheduling an appointment with a dentist in Canton today! Dr. J.D. Robison earned his DDS degree from the University of Michigan. Since then, he’s taken additional training in complex restorative dentistry and advanced aesthetic reconstructions. To learn more about how he makes root canals as comfortable as possible, you can contact him through his website. Comments Off on Root Canals in Canton Aren’t Painful. A Dentist Explains Why.